With 20 years of experience in agency and studio settings, Amy thrives on variety, detail, and the satisfaction of a job well done. She’s produced digital and print work for corporate and non-profit clients including Amazon Kindle, Microsoft, Chronicle Books, Urban Bee Company, The Common Acre & YMCA. 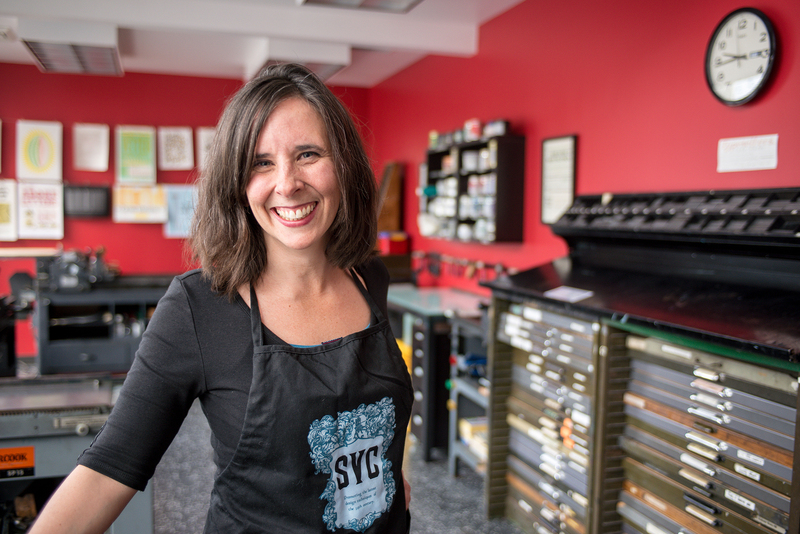 She also teaches letterpress at SVC, and prints in her private studio, Amada Press. A confident leader, she works well under pressure with a positive attitude, able to direct a project from its planning stage to delivery. Requests for contract and freelance work, both on- and off-site, are welcome from all corners of the globe.